When looking to setup a Malaysia Sdn Bhd, company directors will need to have a company secretary that has been approved to certify or verify the documents required to facilitate the incorporation process. The certification of the company documents makes it possible for the firm to carry out business transactions, as well as start engaging in business dealings. 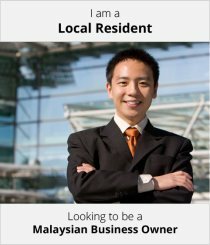 A corporate secretary in Malaysia needs to be of legal age, and should be registered with a professional body. The secretary should also have obtained a license from CCM (Companies Commission of Malaysia). 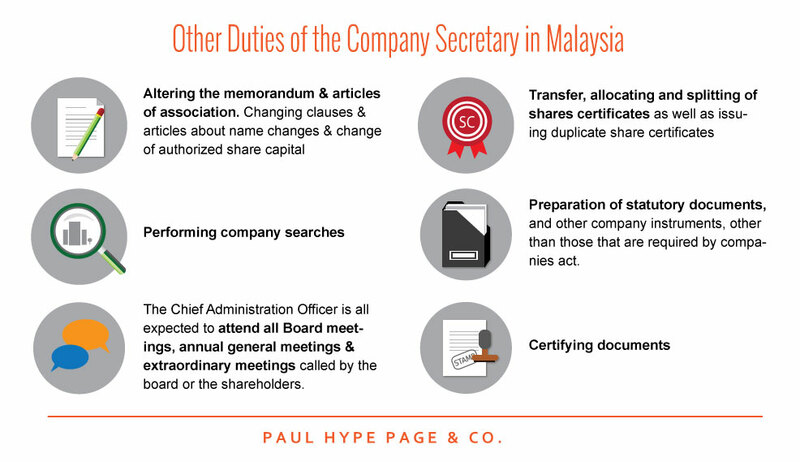 Once licensed, the company secretary now has the authority to register or help incorporate a Malaysia company. The first secretary appointed by the firm should be named in the articles of incorporation. Once the enterprise becomes incorporated, the secretary’s appointment becomes effective. Any subsequent appointments that are to be made should only be made by the corporation’s board of governors, with the particulars of the first secretary being entered into the company’s register book. According to the companies’ act of 1965, each business is expected to have one secretary, but it can appoint more than one, depending on its size, as well as the functions that must be performed. Form 49, which reflects the removal and or resignation of a secretary should be filled, indicating appointment of the new chief administration officer and then handed over to the registrar of companies. In many cases, the removal of one secretary is often followed by the appointment of another. 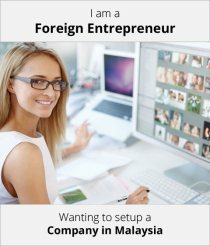 The secretary will assist your company (Sdn. Bhd.) by acting as the official contact person for the firm. The professional communicates with, prepares and submits statutory returns to the CCM as required by the companies’ act of 1965. Your company secretary will attend all board meetings and provide general advice on secretarial matters when required. Once employed, the secretary is also placed in charge of the preparation and filing of annual company returns with the CCM. As the chief administrative officer, the company secretary is required to attend all general meetings as well as the board meetings. Also, the office holder should prepare resolutions, by way of circular resolutions when asked to do so by the board of members. Company secretaries provide general advisory services on all secretarial matters as a way of ensuring that all secretarial records are properly maintained and that the corporation complies with all the requirements stated in the companies’ act of 1965. Apart from ensuring that the firm complies with all these provisions, the office holder is also expected to advise the board and its directors of the provisions contained in the act. The complex developments in company legislation, as well as the creation of business mergers between different firms, have seen the roles of the chief administrative officer evolve. The officer is no longer a mere company employee. For company secretaries, the code of ethics is, therefore, an adoption of corporate affairs, which has been formulated to enhance corporate governance standards as a way of instilling professionalism and effectiveness in the way the professionals perform their duties. Chief administrative officers are therefore expected to tell the difference between right and wrong by approaching all situations from a moral point of view. Company directors have the right to terminate or modify the employment terms of the company secretary at any time if they find that the roles and duties prescribed are unsatisfactory. It is important to understand that the company secretary position is not a clerical position, as the officeholder performs the functions and roles of the Chief Administrative Officer. The chief administrative officer is entrusted with all the legal responsibilities of the company and should be an active member of a professional organization before being hired. The companies act governs the duties performed by any company secretary, the companies’ articles of association, the common law and the contract of service signed by a company secretary and an employer.